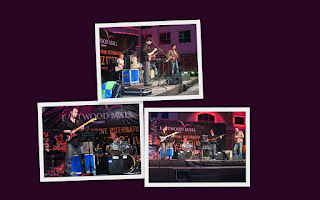 Last Saturday, my wife and I covered a Philippine International Jazz Festival held at the Eastwood Mall Central Park. 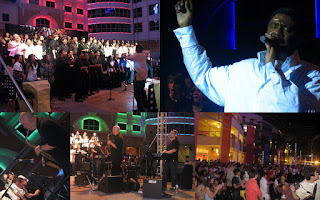 We arrived at around 6:00 PM and was able to catch the first group who performed, the Black Gospel Choir. This group showcased jazz in singing as they were led by a worship leader who combined good quality voice and spontaneity in their song arrangements. There were two other groups that performed, the second one was Juan Isip with a n Italian guest and the third group was from Australia. They called themselves Logic and performed some of their recorded music and upcoming pieces. They played fusion/acid jazz and won the crowds attention with a lot of the solo performances from each instrumentalist. It was a few months ago since I last went to Eastwood and visited the Central Park. I thought then that it would be a great venue for performances like these and I was glad to have that confirmed. After the free musical presentations, I accompanied my wife as she went shopping for a lip gloss at the Beauty Bar but ended up getting a concealer. I was surprised to see a unique pedicure and manicure service inside the store and it was called Dashing Diva. Eastwood Mall features a few stores that are unique to them, a spacious mall area and additional luxurious cinemas. When you're in Libis, Quezon City area, take time to visit the new Eastwood Mall. 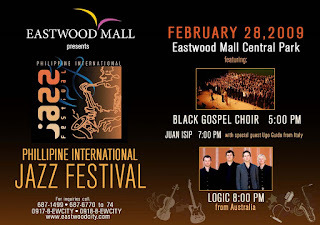 Visit EastwoodCity.com for upcoming events.